If you are looking for a great place to park your RV or 5th Wheel while going through central Wisconsin, we are the place. All of our lots offer full hook-ups, which include city sewer/water, and electricity. We have 2 bedroom Mobile Homes for Rent. They are close to highway access, shopping, and some have laundry hook-ups and very nice large decks. Our mobile homes are located in a park like setting with a small creek in the back. These properties are very well maintained. Great location 3 miles south of Cedar Creek Mall. We are located just north of Mosinee and 10 miles south of Wausau. 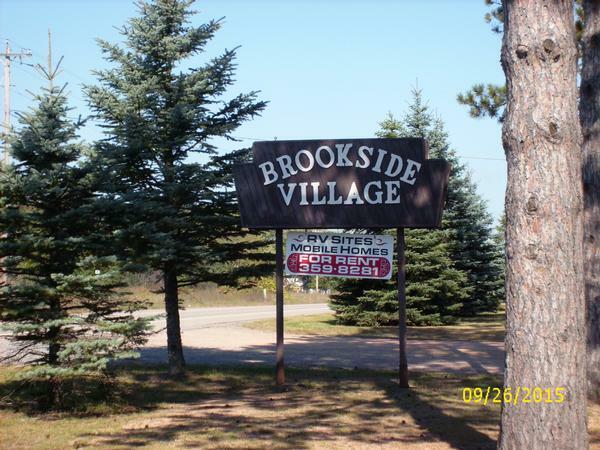 No matter where you want to be in central Wisconsin Brookside offers you an easy way to get there with an on/off ramp (Exit 181) to Hwy 51 within a half mile of our entrance. Yet with this great location you don't have to sacrifice a great view. Brookside is a clean and quiet park to call home or just visit and enjoy for a short time.